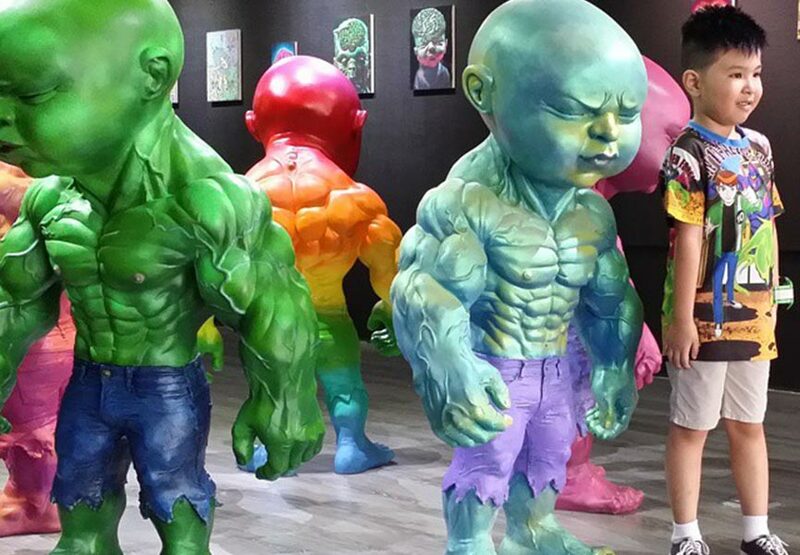 When you think of Ron English you immediately attach the title grandfather of the street art to his name. For many years he participated in shaping the urban movement as it grew larger and larger. After this prominent artist covered the January edition of the POW! WOW! Hawaii Street Art Festival he visited another tropical country but this one is on the other side of the globe. 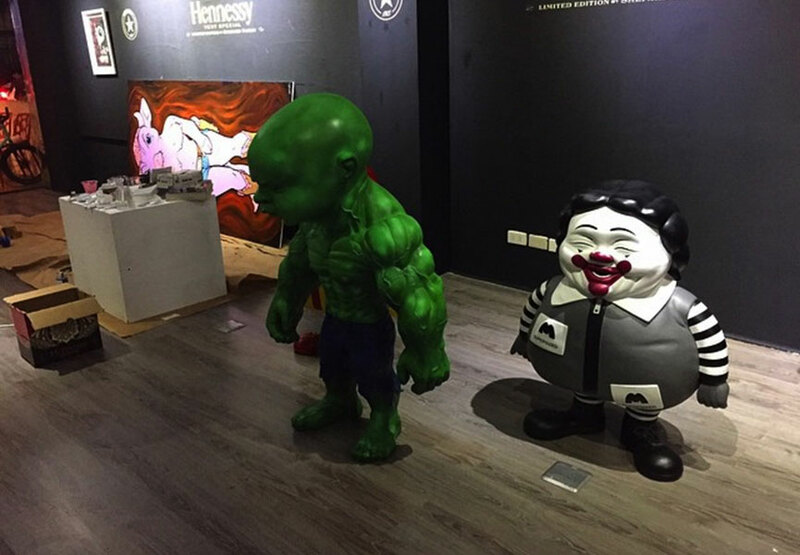 On the the 21st of December one of the Philippines most dynamic galleries called Secret Fresh stationed in Ronac Art Center , Manila, opened an exhibition that features newest of work from the veteran of street art. The opening of this event included many supporting acts as well as some colleague artists which made this occasion more energetic. Over the past weekend there was a lot to see at the Ronac Art Center. 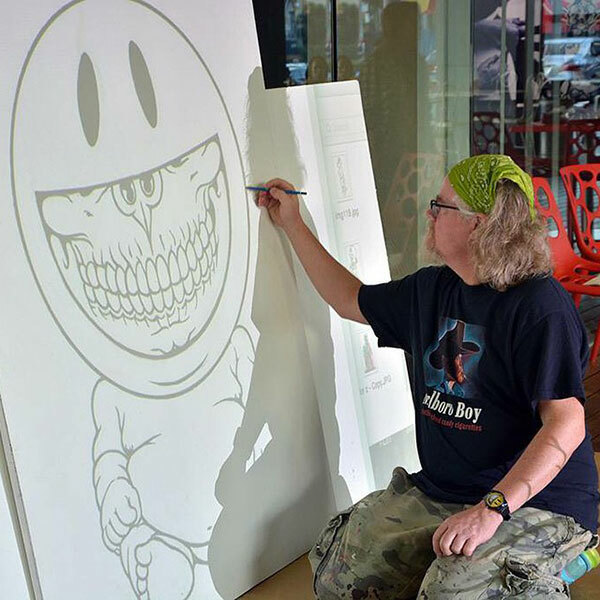 Ron English illustrated the remarkable level of how creative he can be. 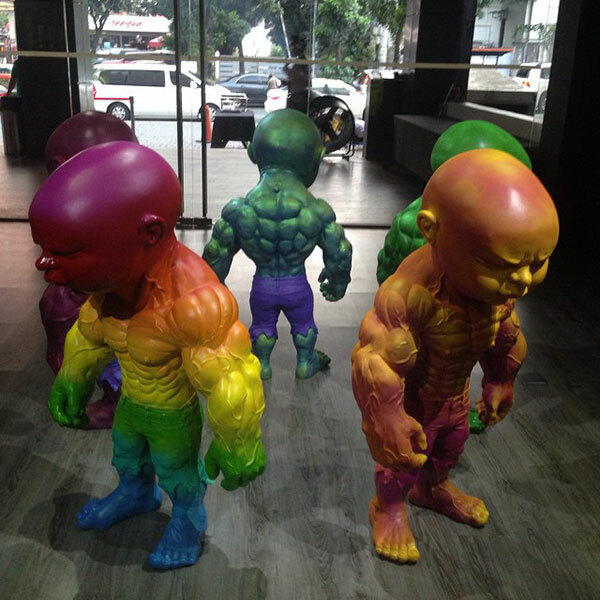 Even though his live painting show was meant to be the center piece of the exhibition, most of the attention was on his newly made sculptures named Temper Tot. These colorful pieces were certainly a sight to behold. 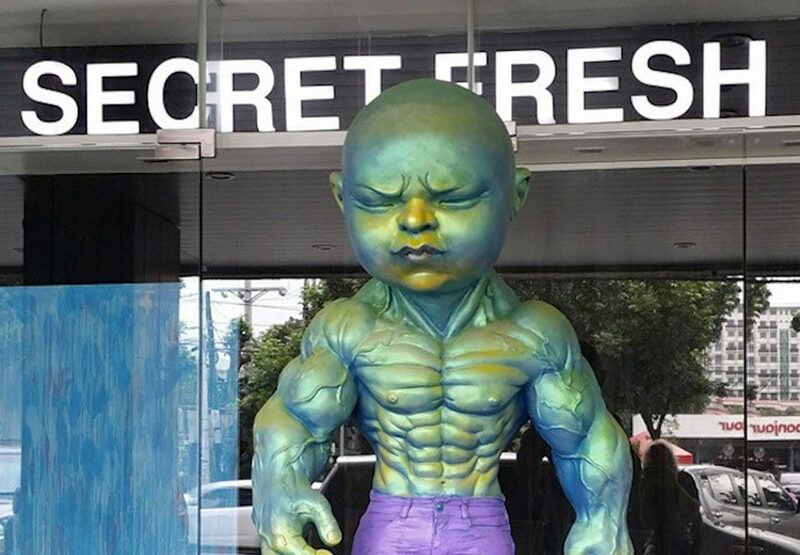 Made as a ripped oversized babies with Hulk-appearance, these sculptures evoke a myriad of feelings of fear, anguish an a disturbing sense of bizarre. 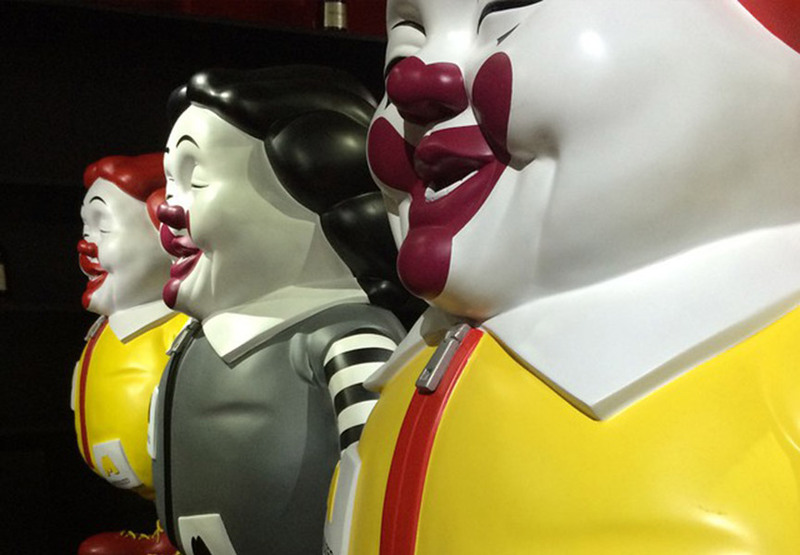 Ron English displayed another set of sculptures, in particular three chubby versions of Ronald McDonald statues. 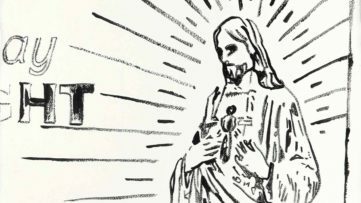 All English’s work convey a significant amount of satirical aura, depicting troubling discomfort of modern day symbols. The opening of the exhibition was greeted with a children’s marching band and was attended by some of Asia’s most esteemed collectors. Names such as Bigboy Cheng, master sculptor Rommel Chua and Dennis are some of the individuals that had their role in shaping the exhibition. The exhibition which opened on 21st of December is still on view at the Secret Fresh Gallery and the end date for the exhibition remains undisclosed. One of the most intriguing pieces the artist made was in July when he took upon a Guernica challenge, one of the crucial works of art of the 20th century. 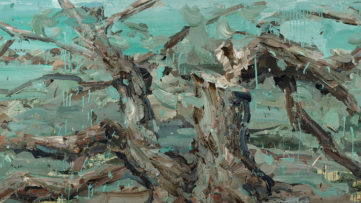 Another of his recent works entitled Pigment was part of the auction held in September at Webb’s auction house. 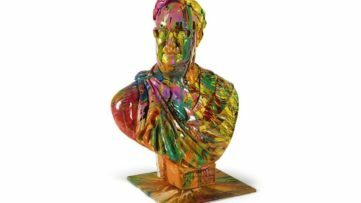 Ron English was also included in the Sufrers Healing auction. He was one of the artists who used his creative skillset to beautify surf boards with a portrait of Marylin Monroe combined with Mickey Mouse motifs. Open up a Widewalls account and enter 2015 as a part of one of the fastest growing art communities in the world!